Just in time for the holiday season, Sports Illustrated Kids is now offering a special subscription for the sports lover on your list. Now, when you purchase an entire year of SI Kids in print and on tablet for $19.95, you can send a second gift of 12 issues (1 year) for only $5! 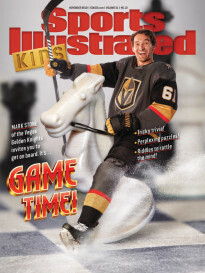 Buy It: You can purchase the gift of Sports Illustrated Kids from www.sikids.com/gift.